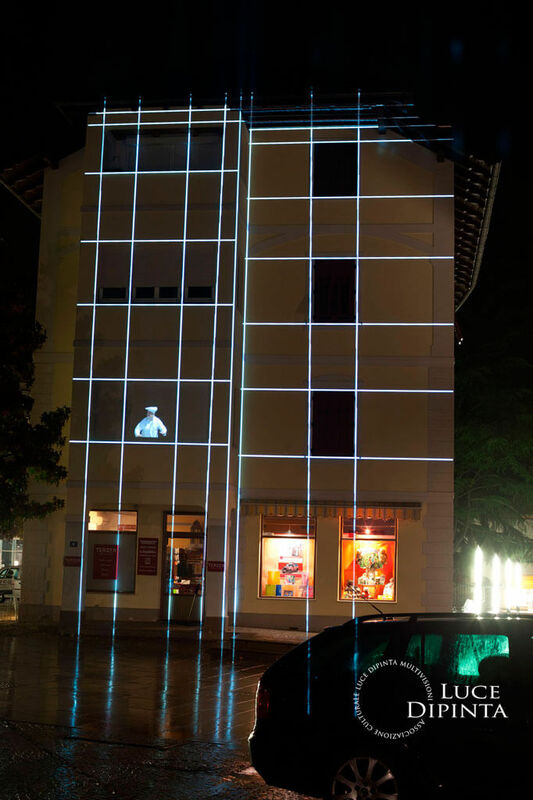 14 artists from all over the world are reinterpreting the cultural treasures and water sites of Brixen through 27 light art installations. 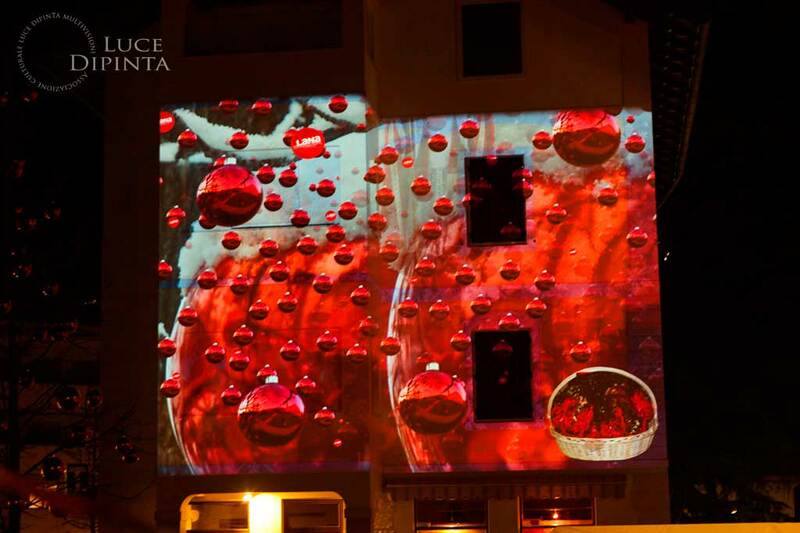 Water as Life and Light as Art – Lighting installations and performances at the city's water sources draw attention to the precious resource of water and open up new perspectives. 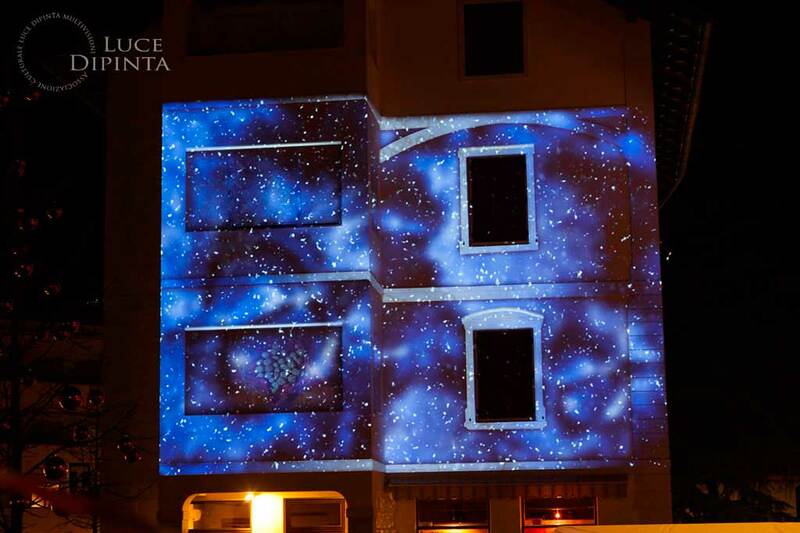 Water worlds and light art - a luminous connection that invites you to marvel, dream, participate and reflect. 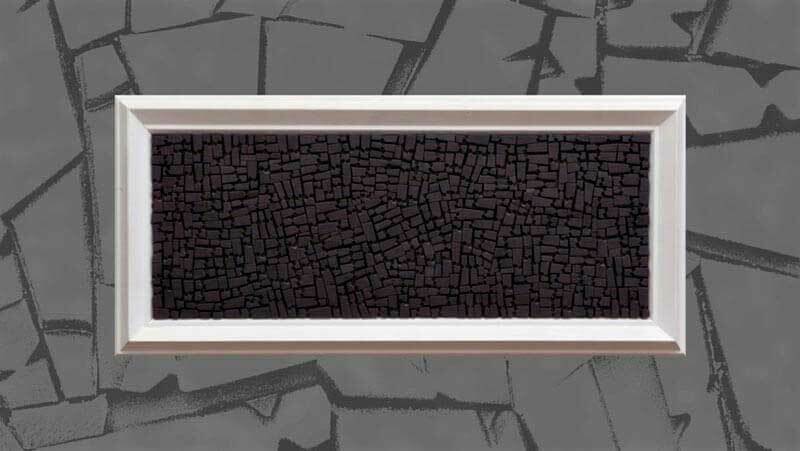 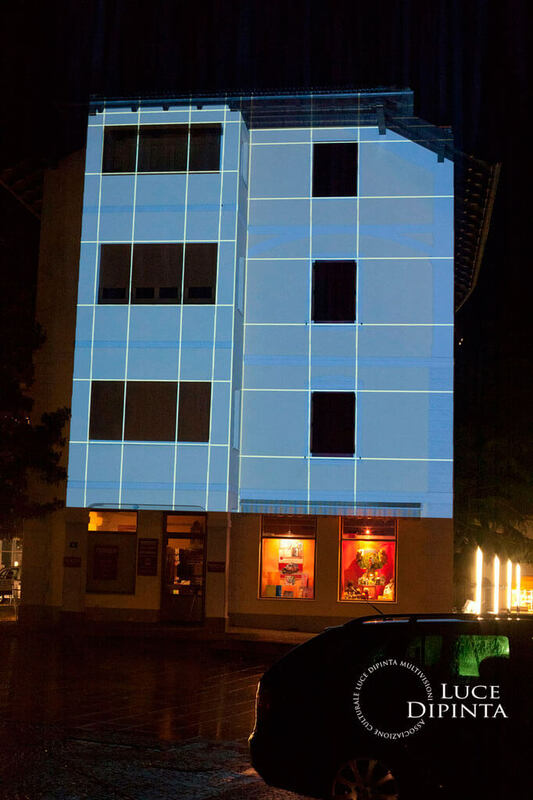 RESOLUTION, a new work by Luce Dipinta member Alex Rowbotham has been realised and is now showing 4 times per hour from 9pm until midnight until 26th May. 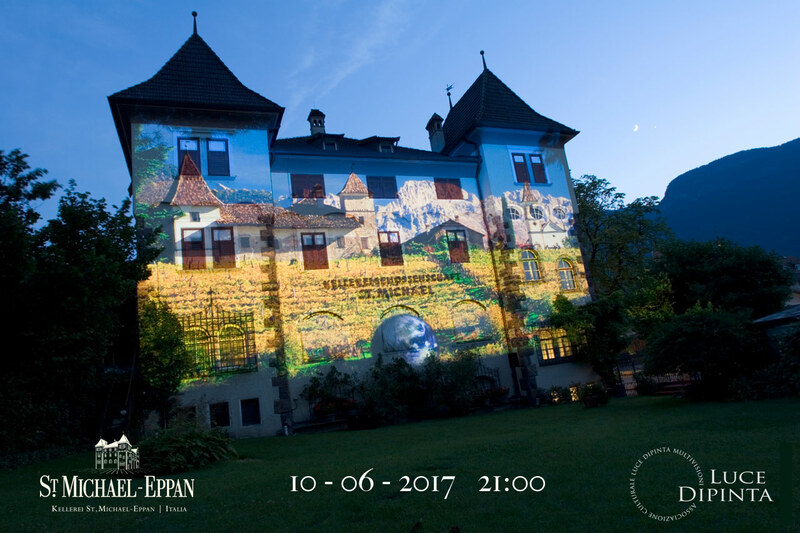 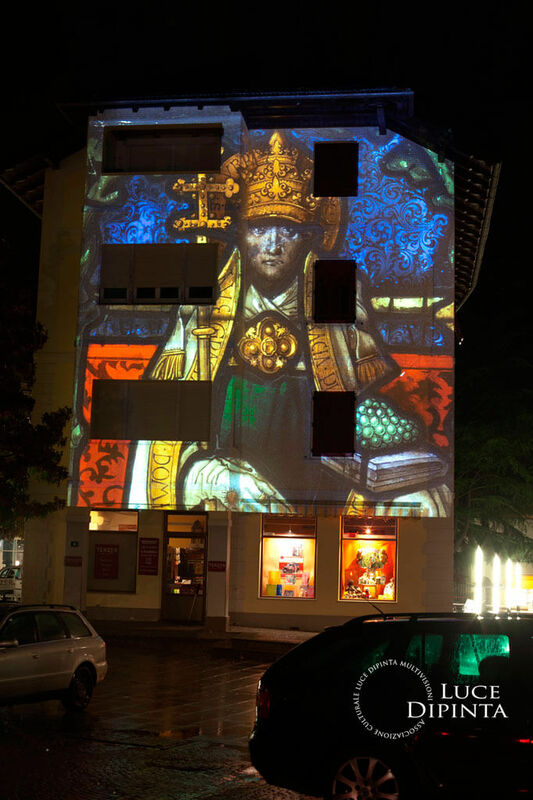 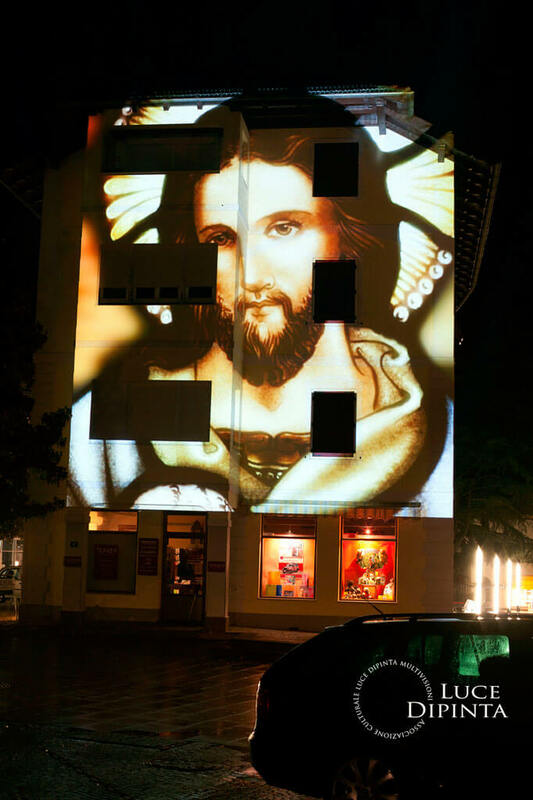 Co-operative wine producer St.Michael-Eppan celebrates 110 years in 2017 with activities including wine tasting, a multivision show projecting directly on to the original cantina building, which in itself is 109 years old. 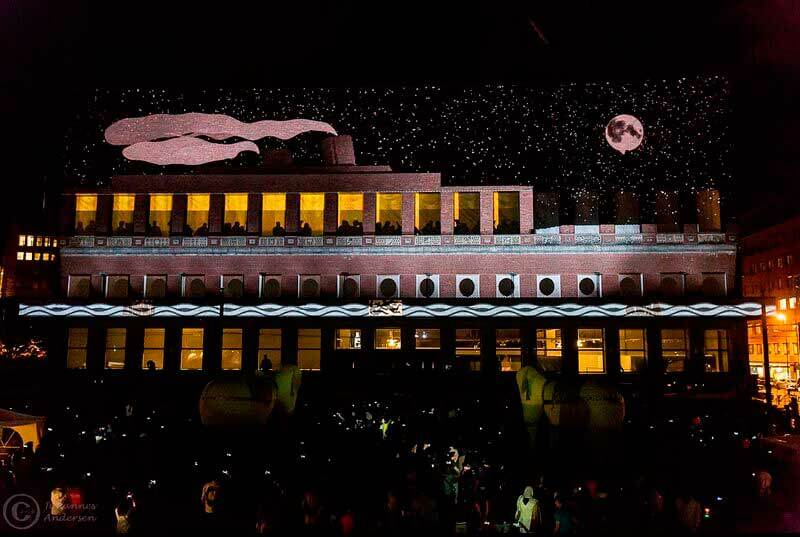 If you missed the event 10 years ago then make sure you add this public event to your diary - 10 June 2017 from 9pm. 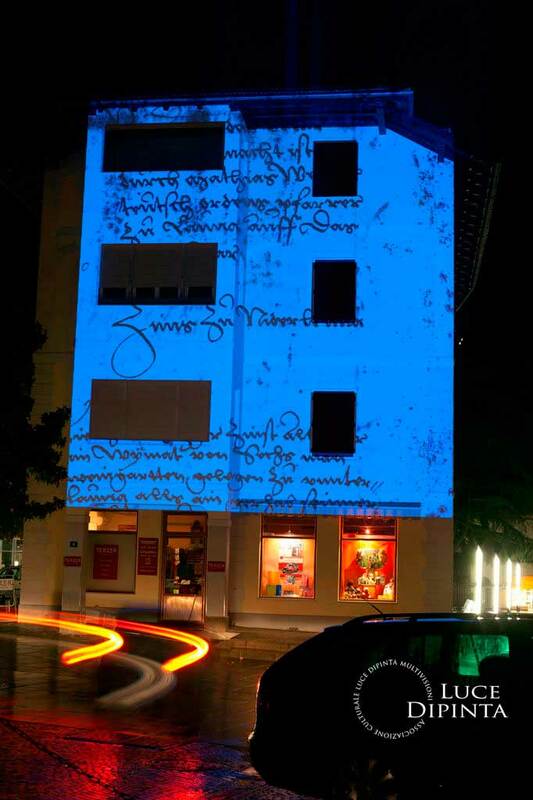 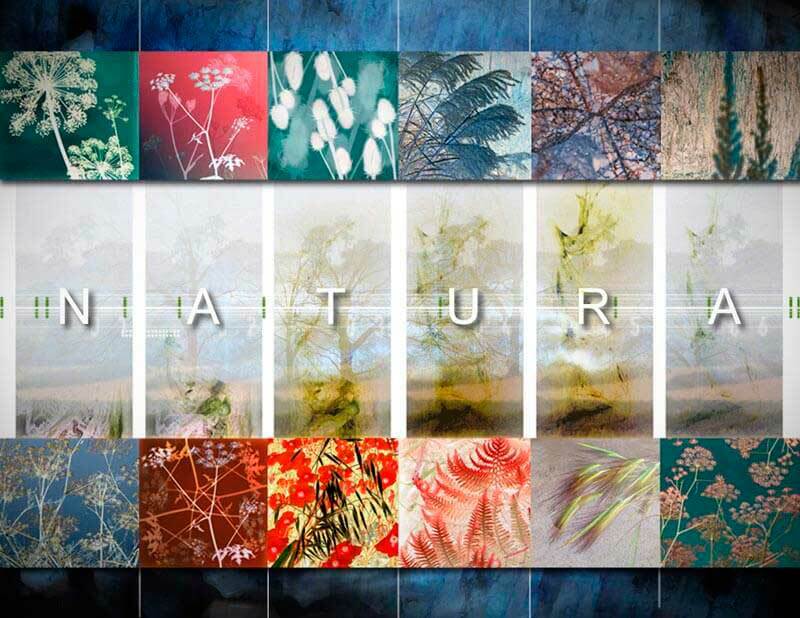 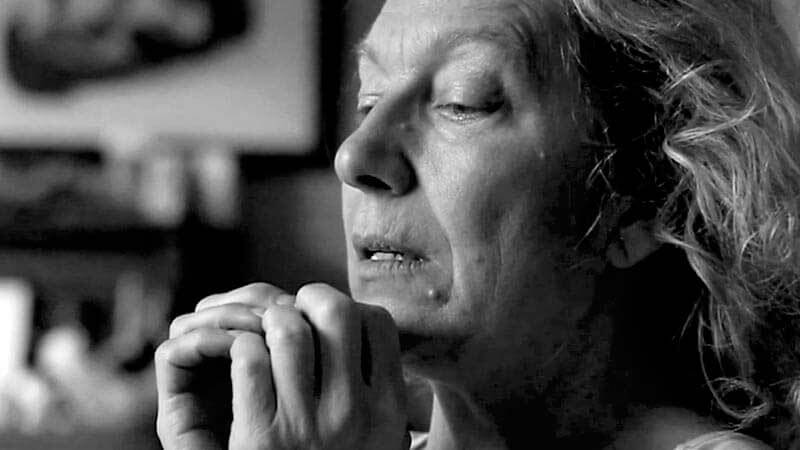 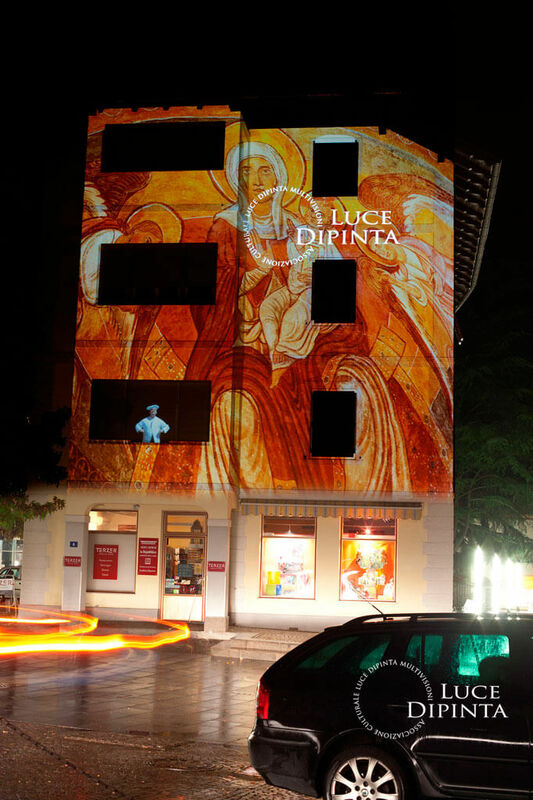 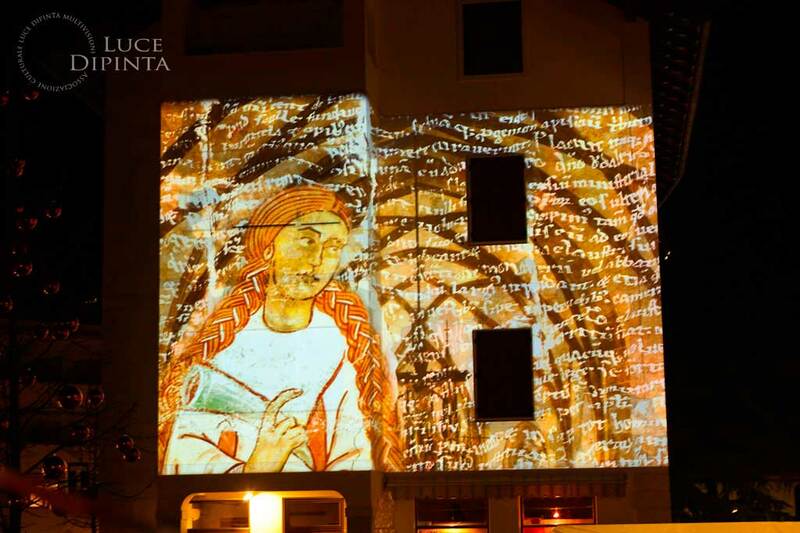 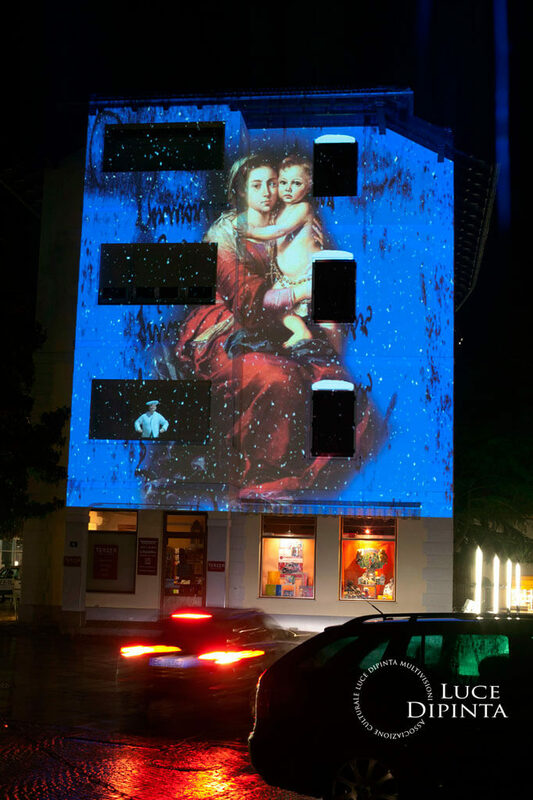 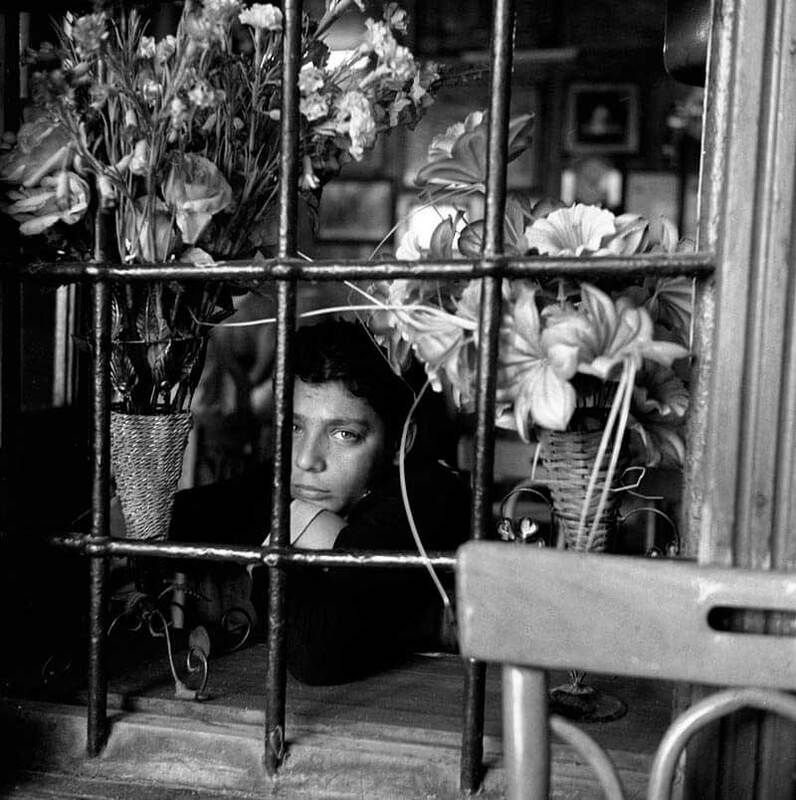 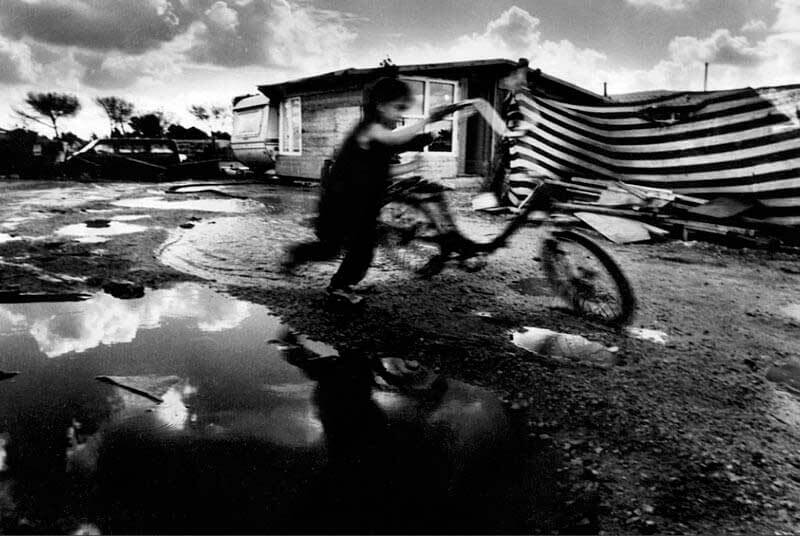 Luce Dipinta Multivisioni presents the fourth edition of “Painting with Light”. 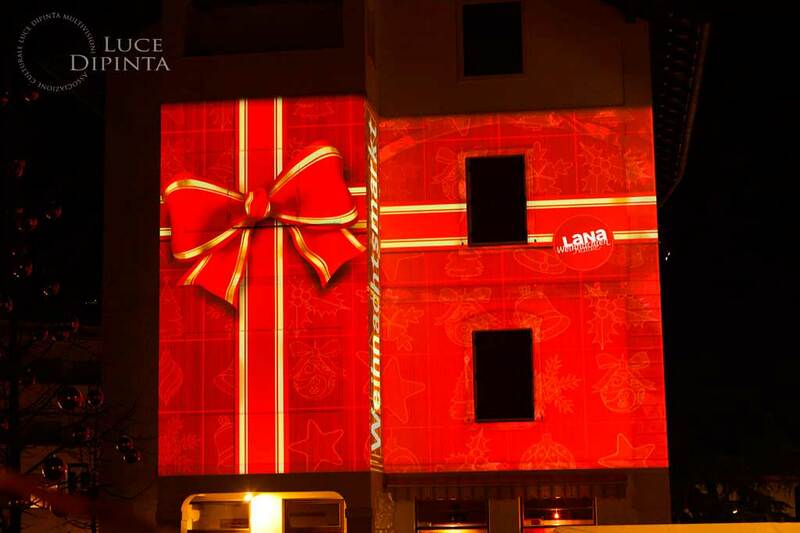 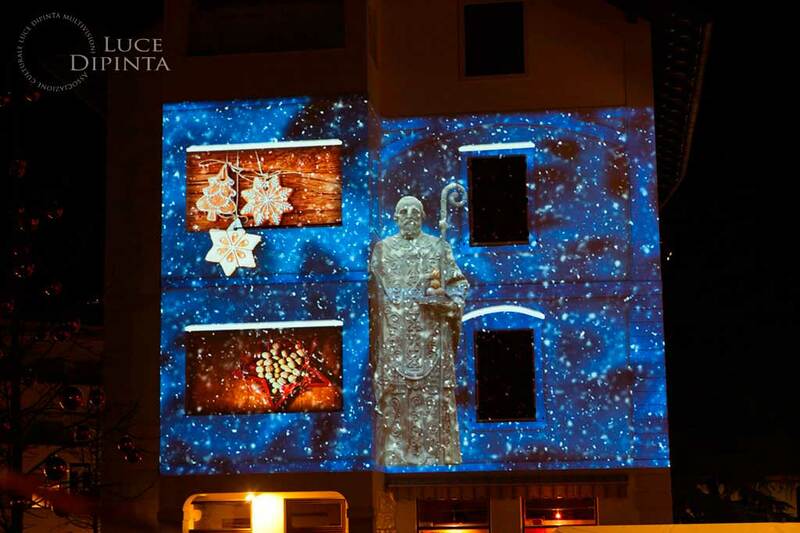 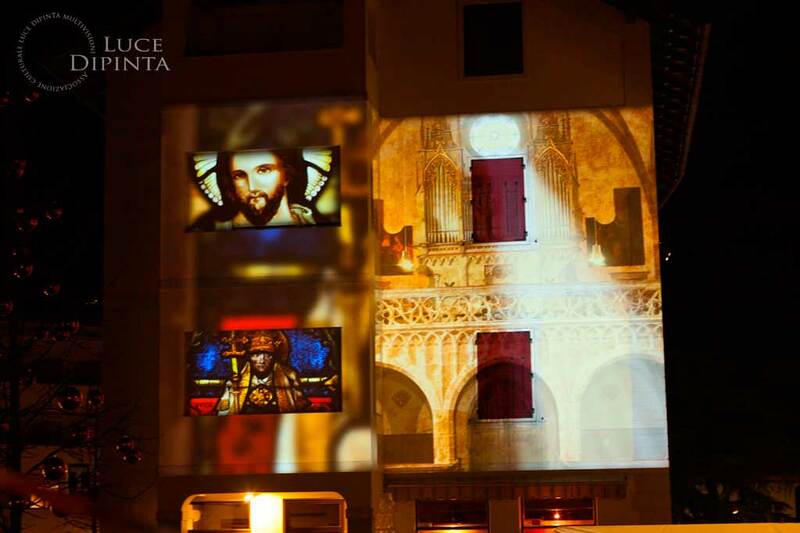 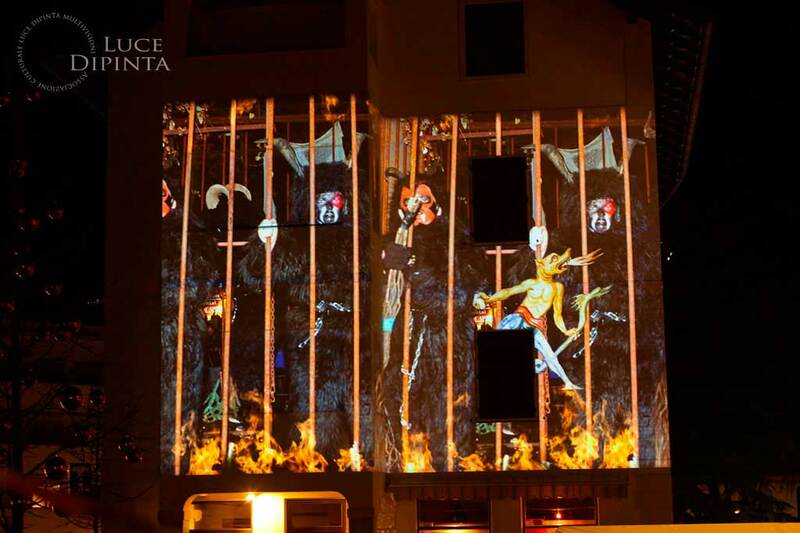 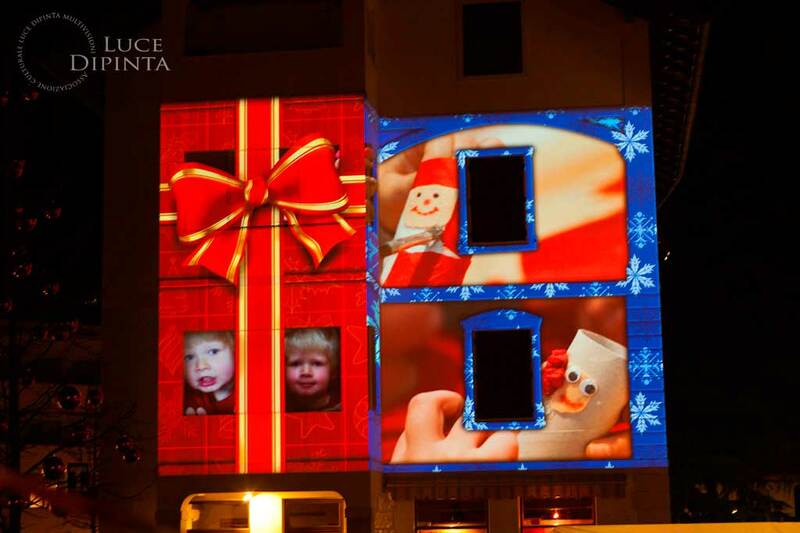 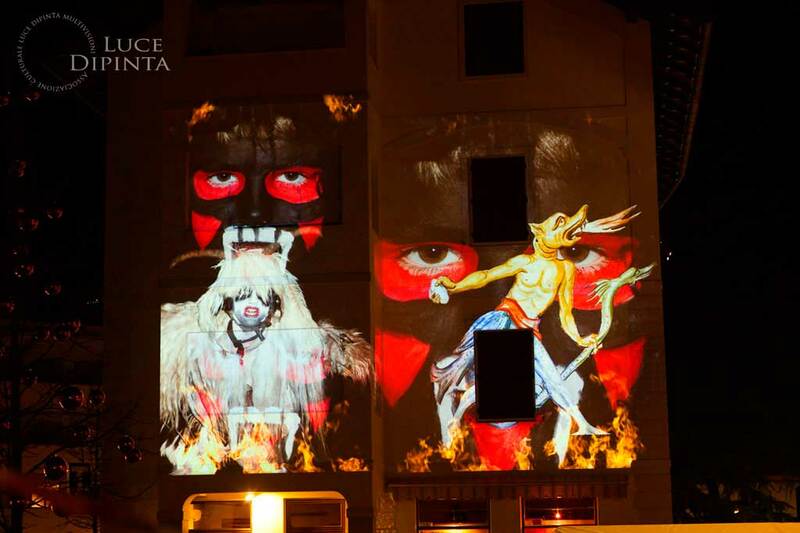 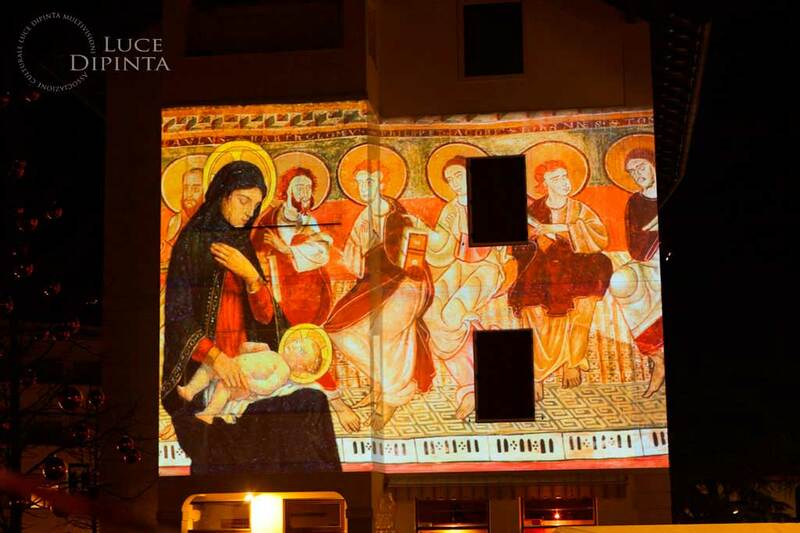 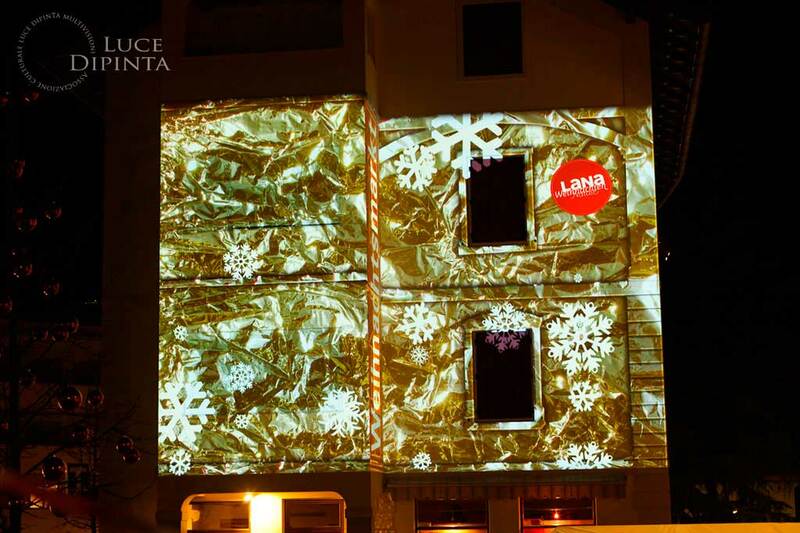 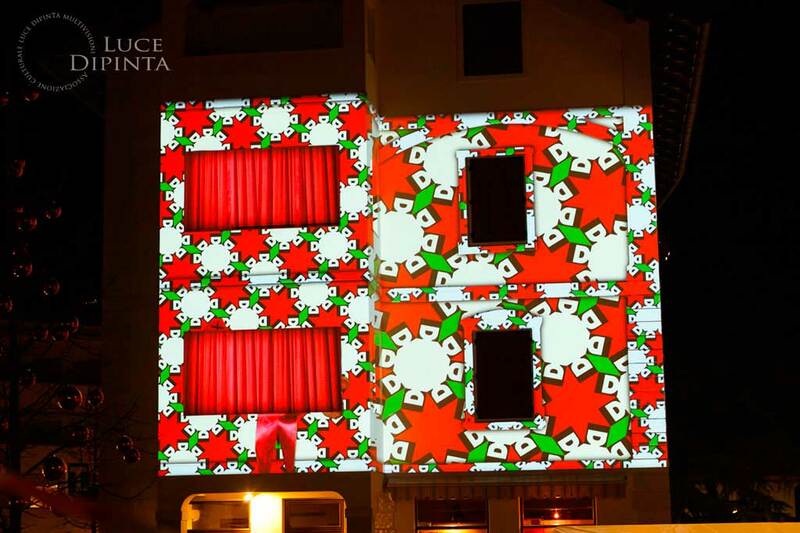 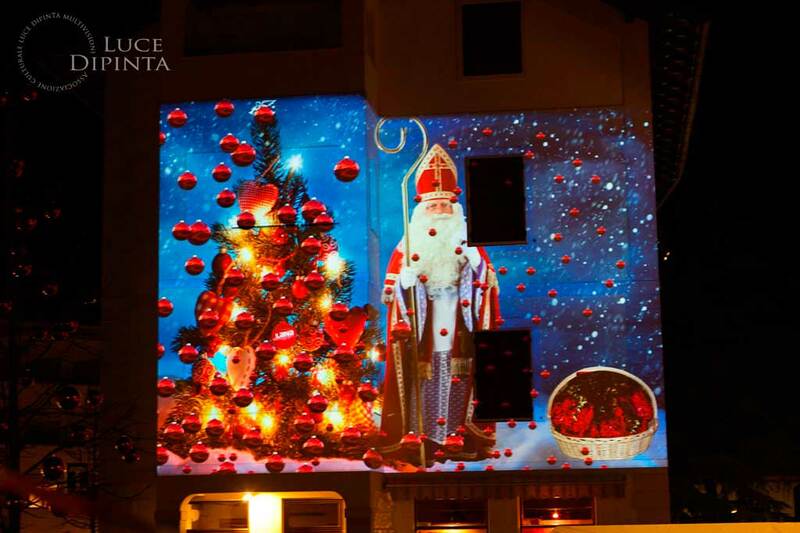 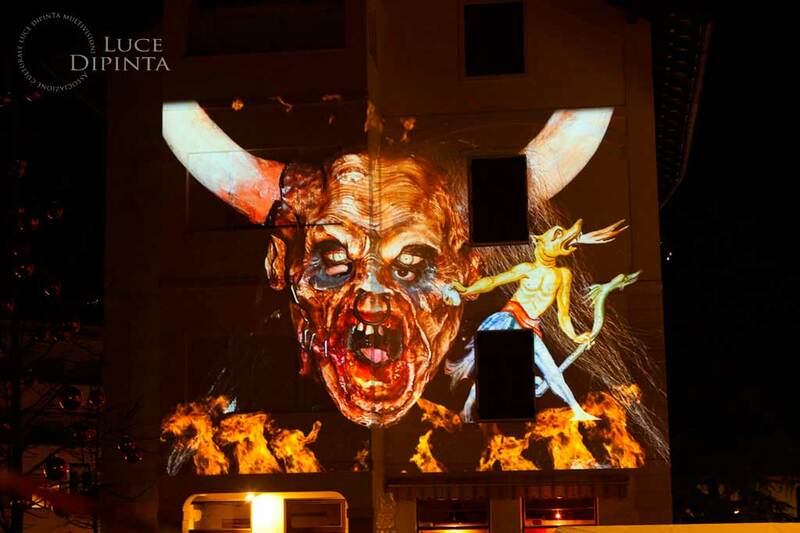 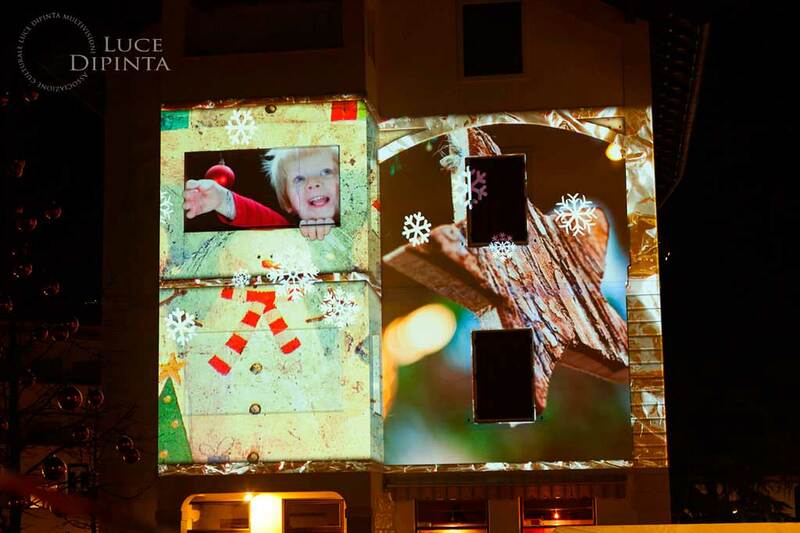 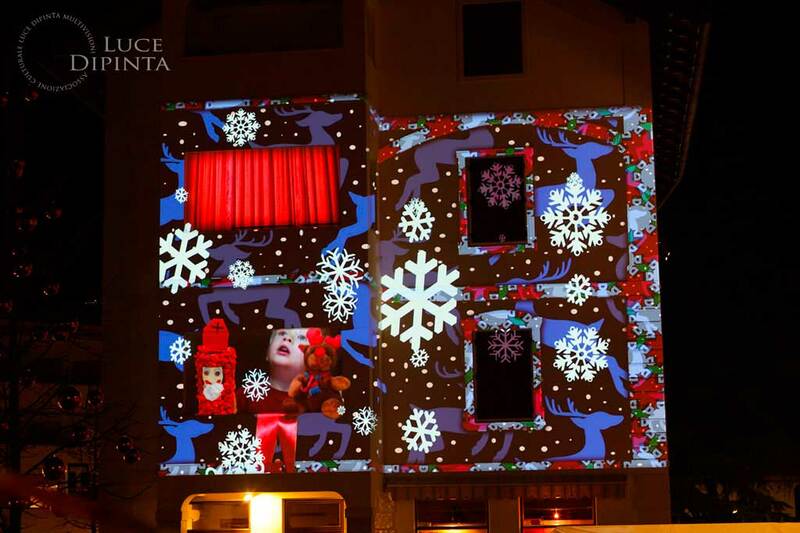 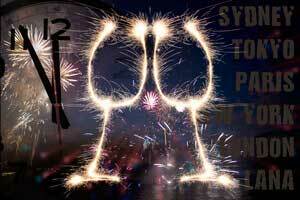 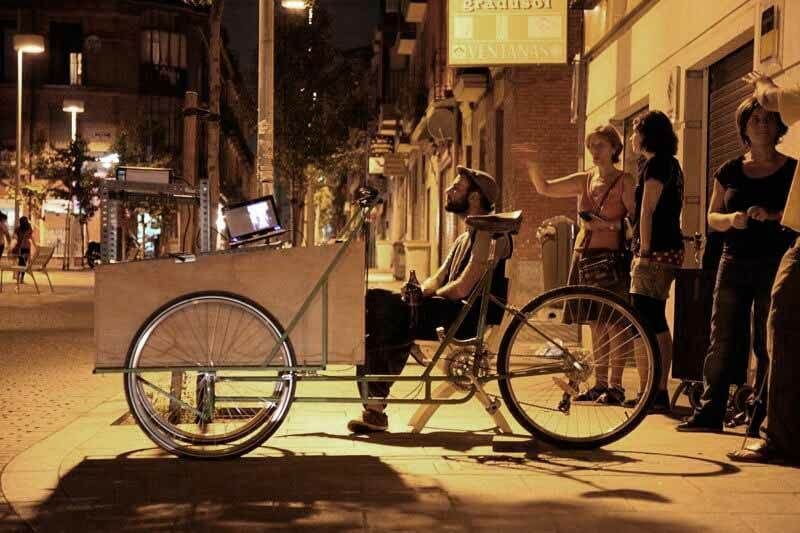 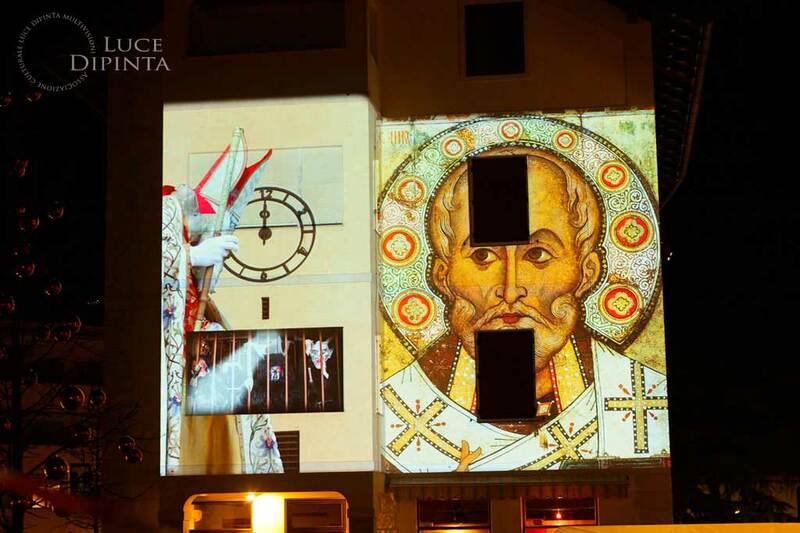 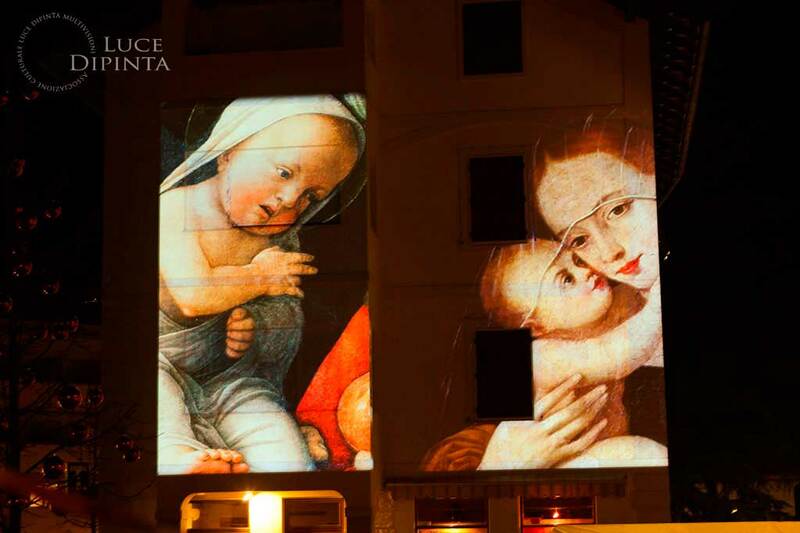 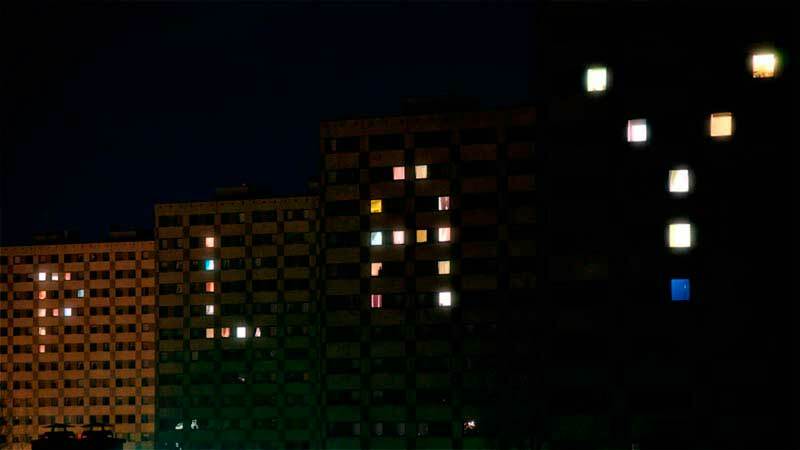 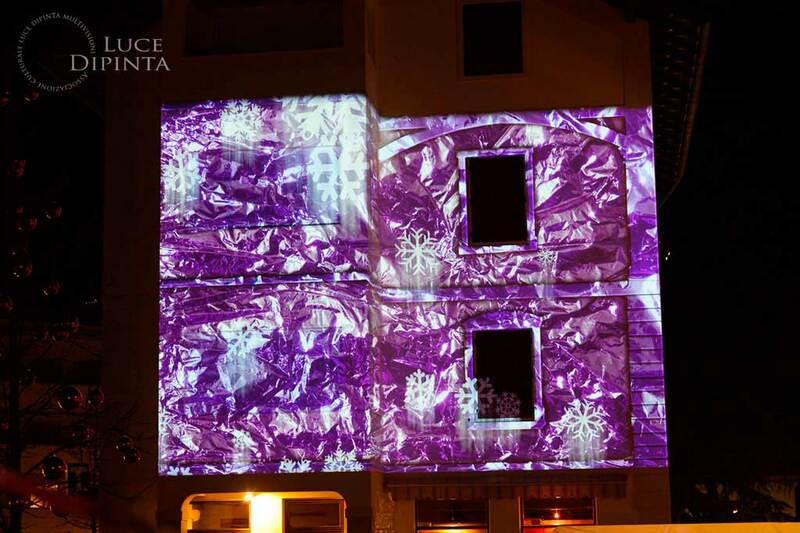 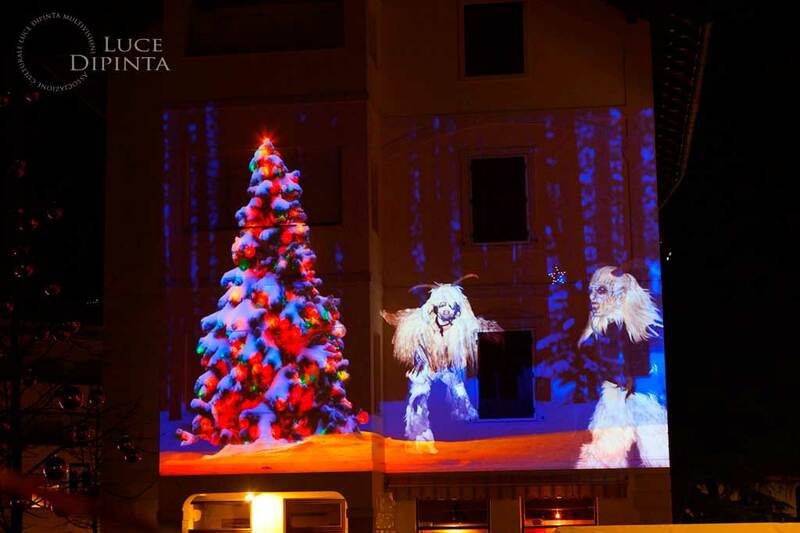 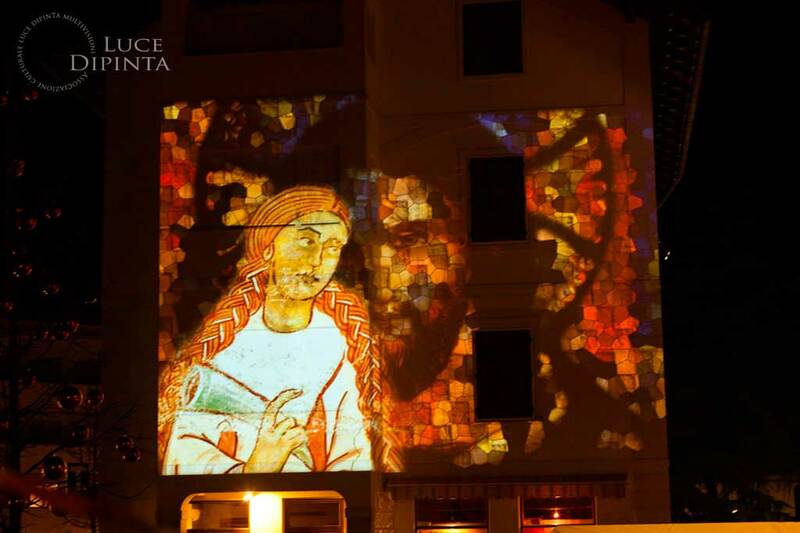 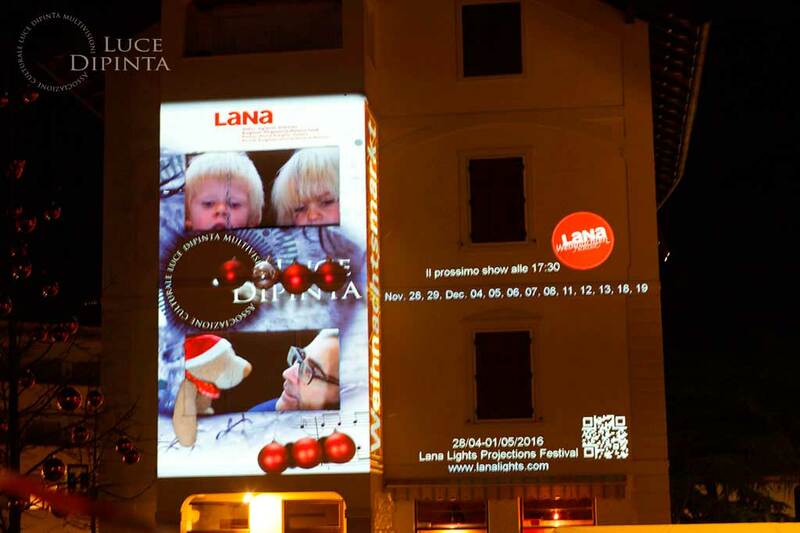 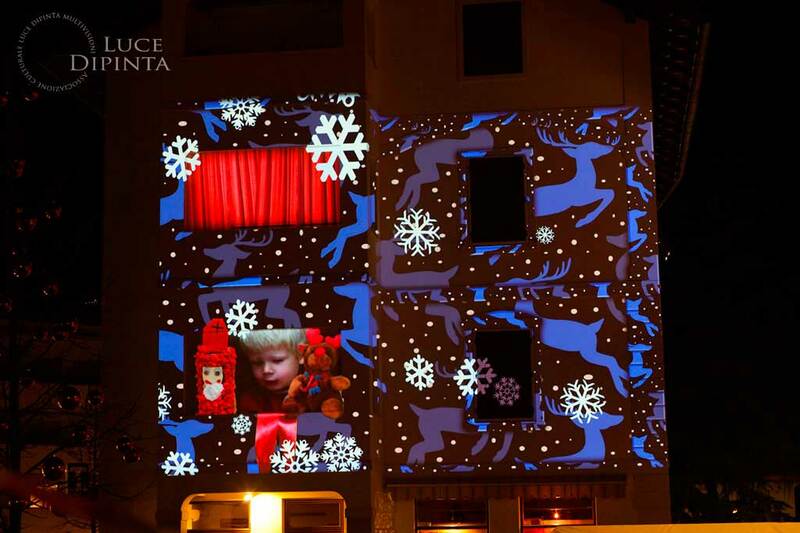 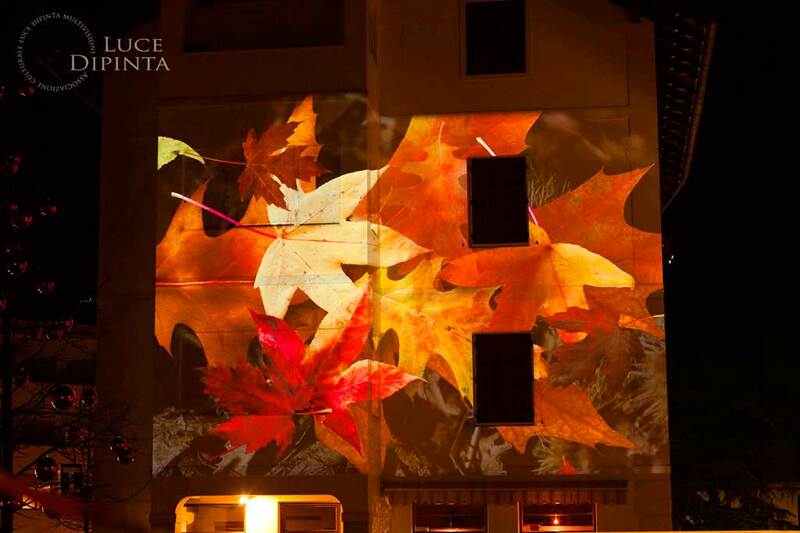 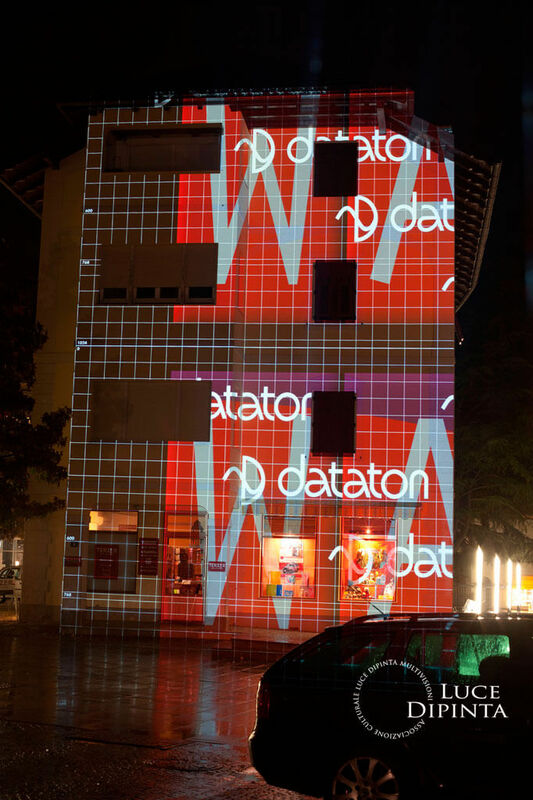 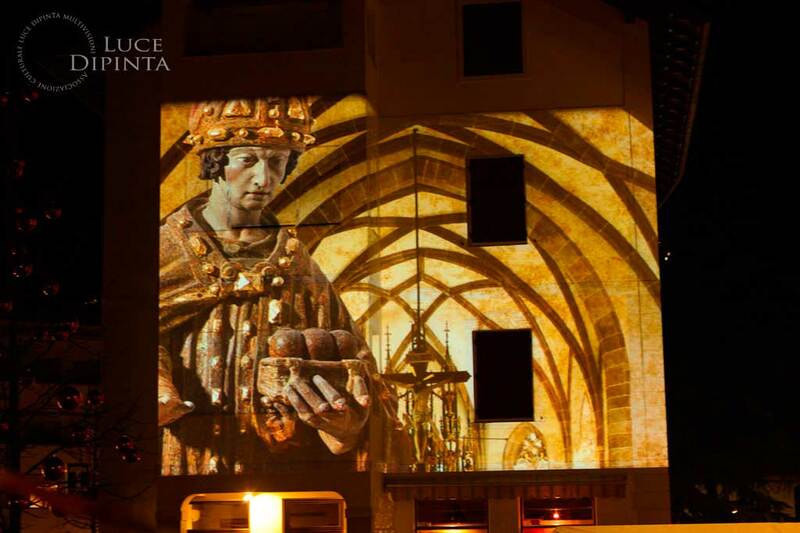 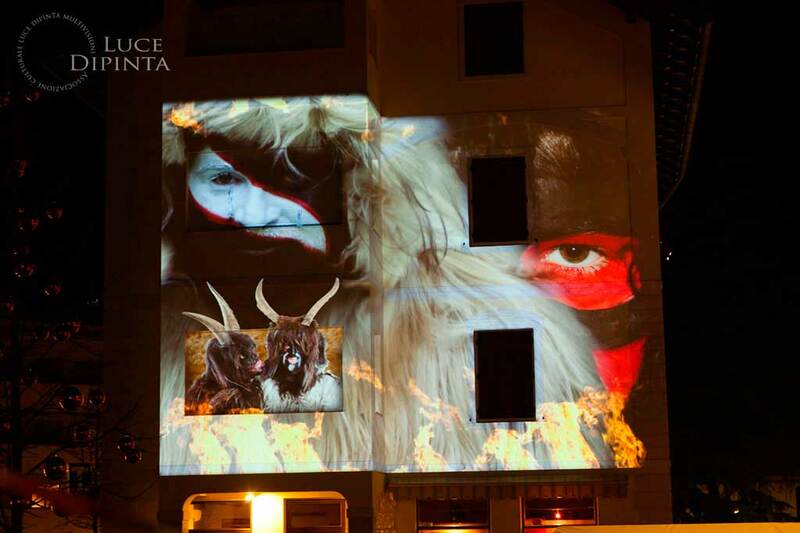 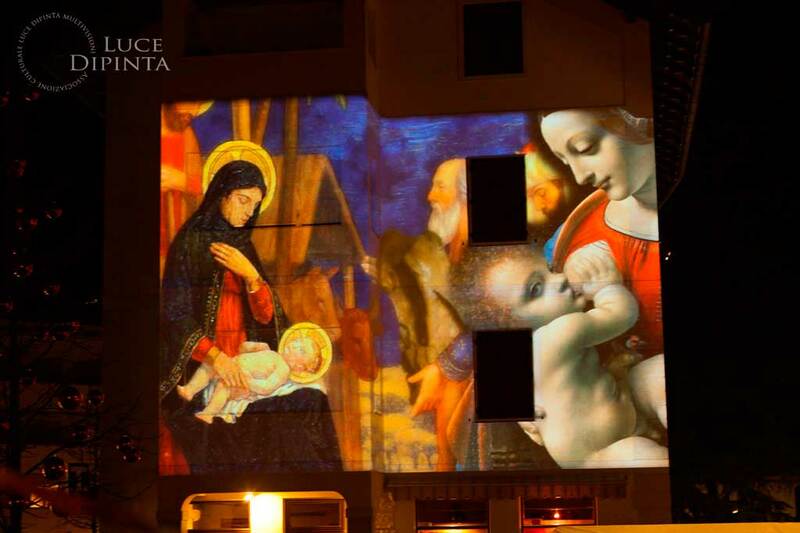 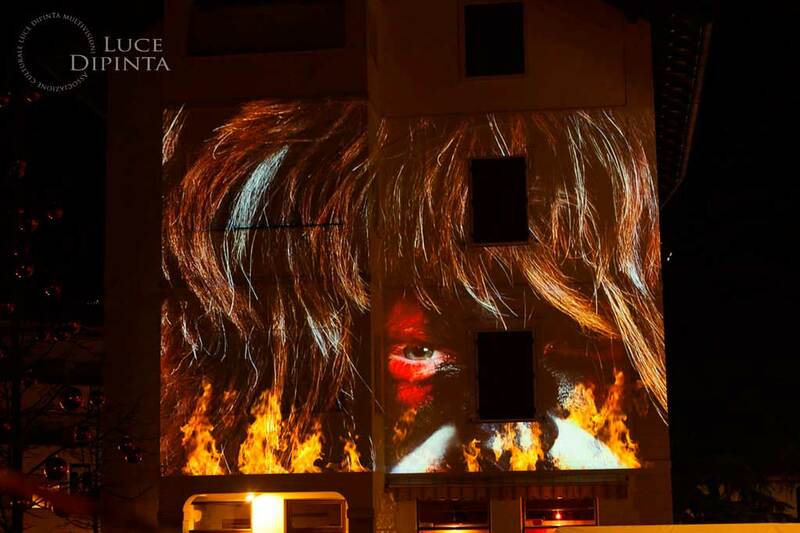 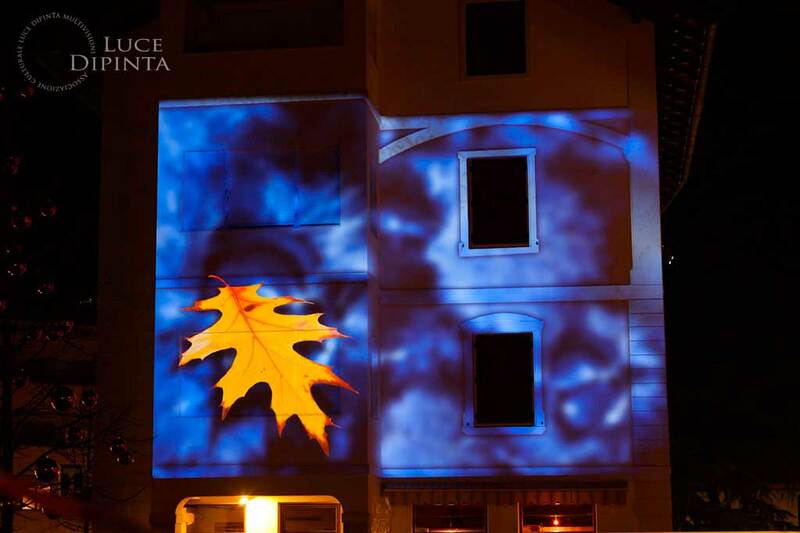 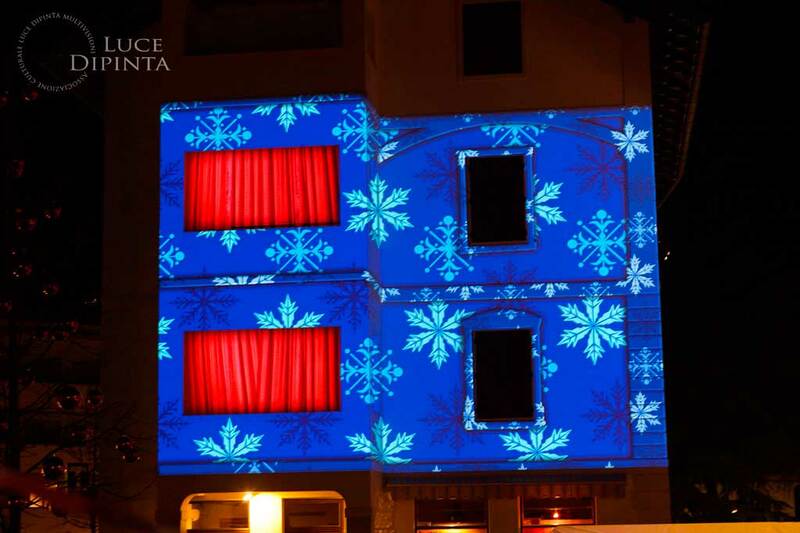 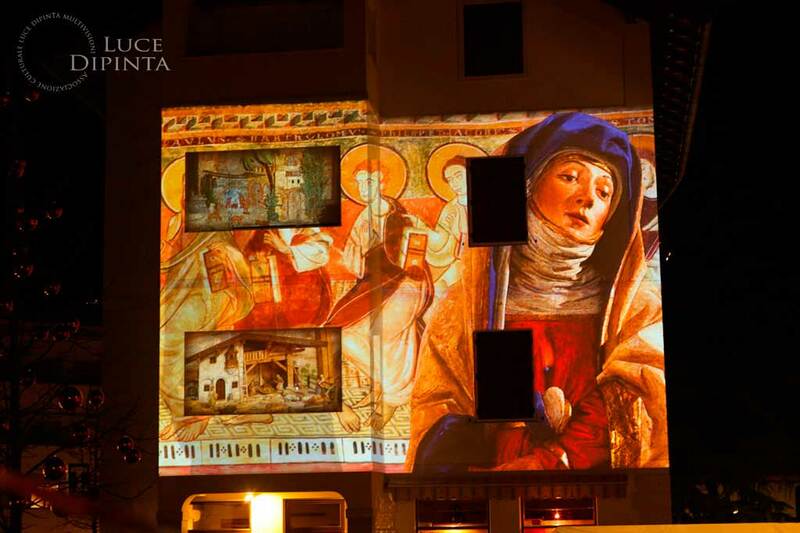 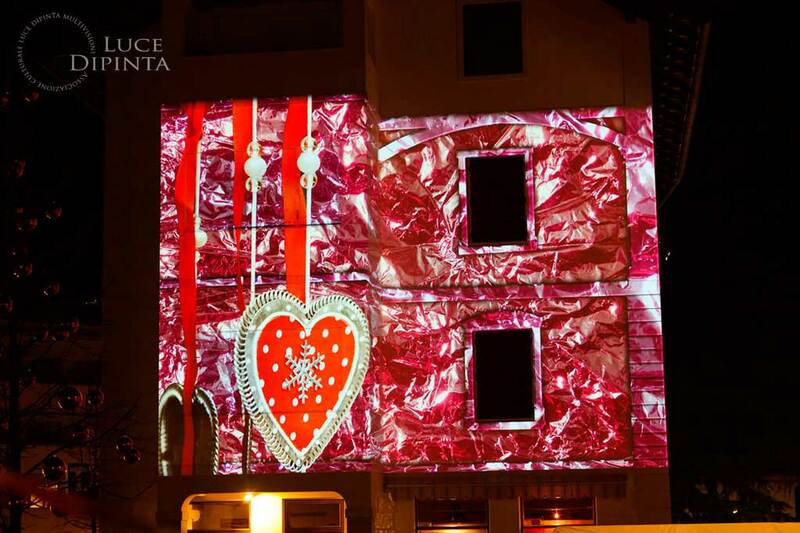 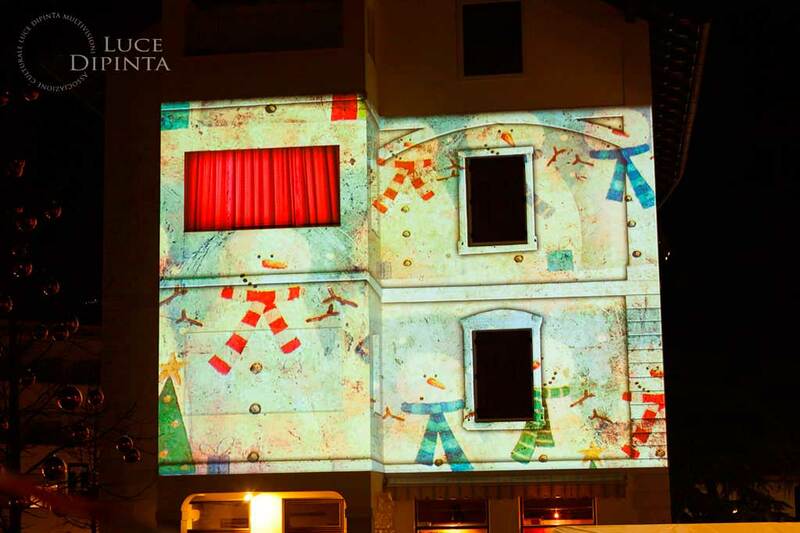 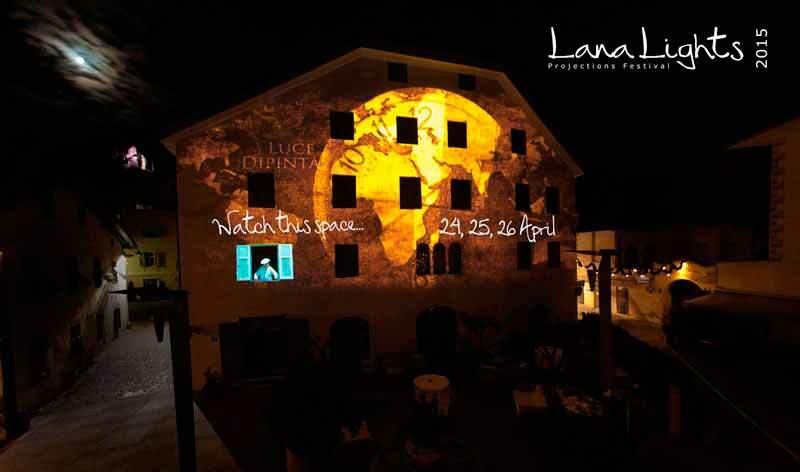 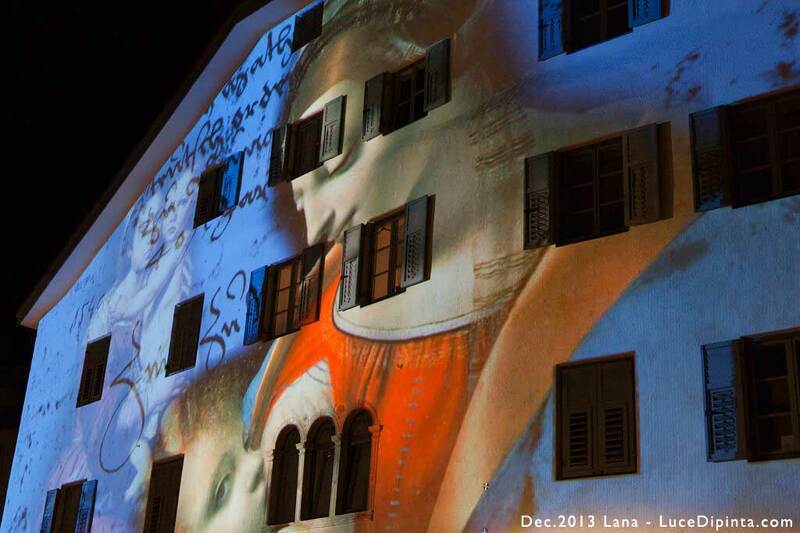 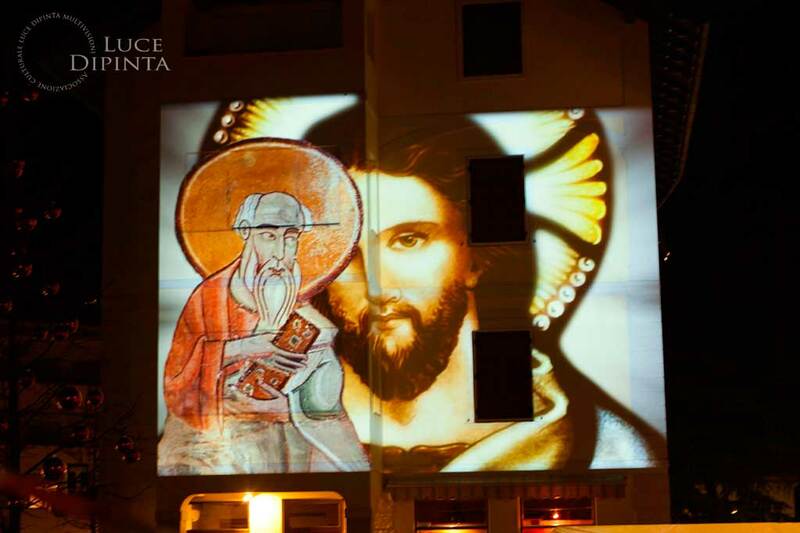 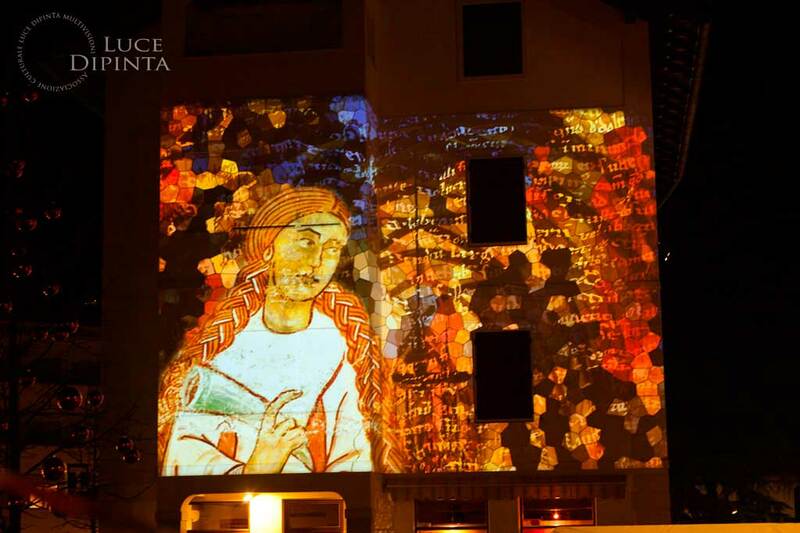 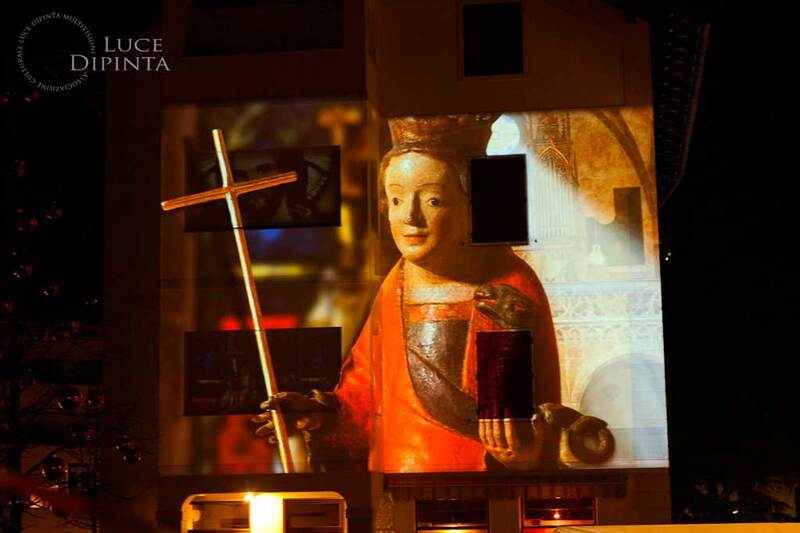 This year this projections event is spread over four days in the centre of Lana. 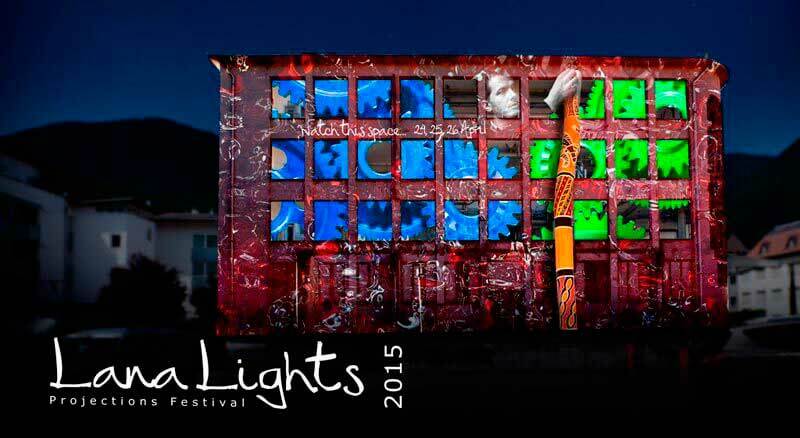 All presentations and events remain free and ticketless. 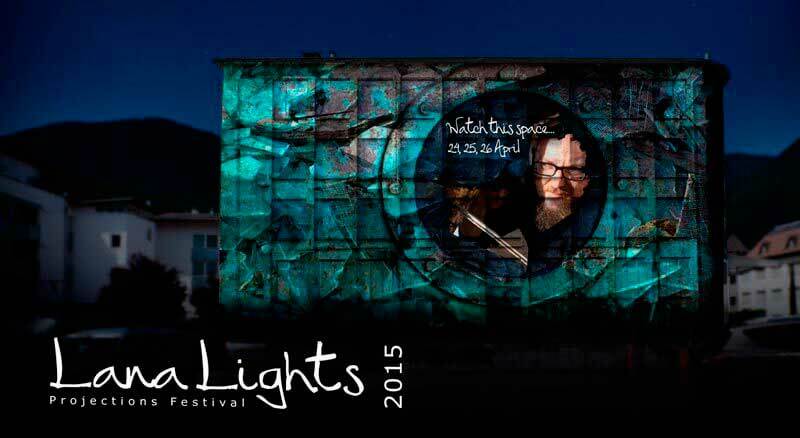 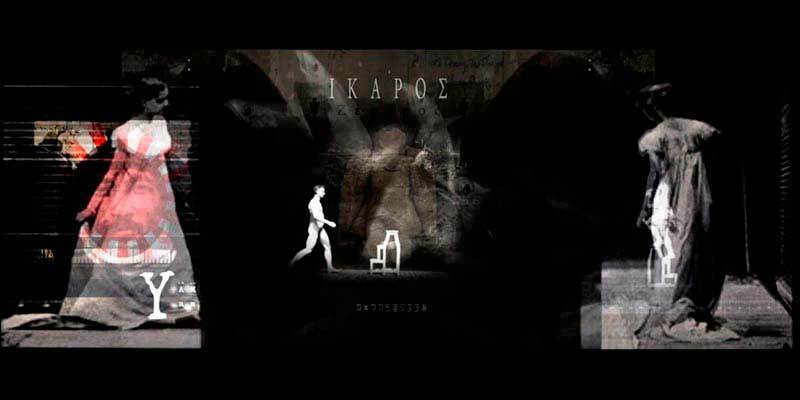 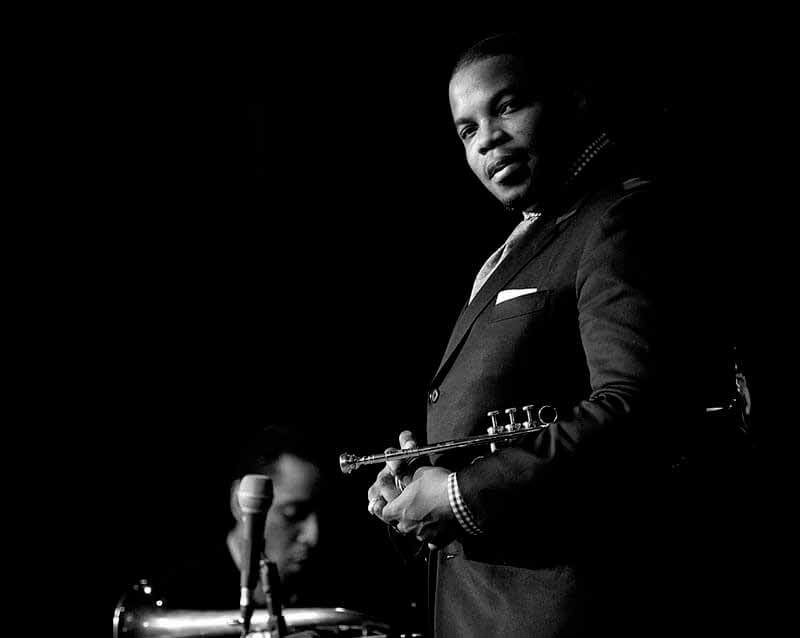 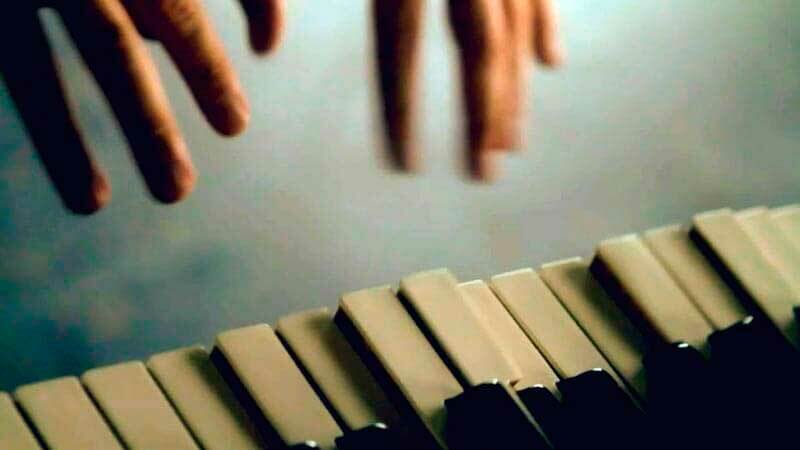 The festival inauguration is on Friday 28th April at 8pm. Projections, multivision, photography, video, music, poetry, graphic design and live interactive performance are only some of the ingredients of this long weekend. 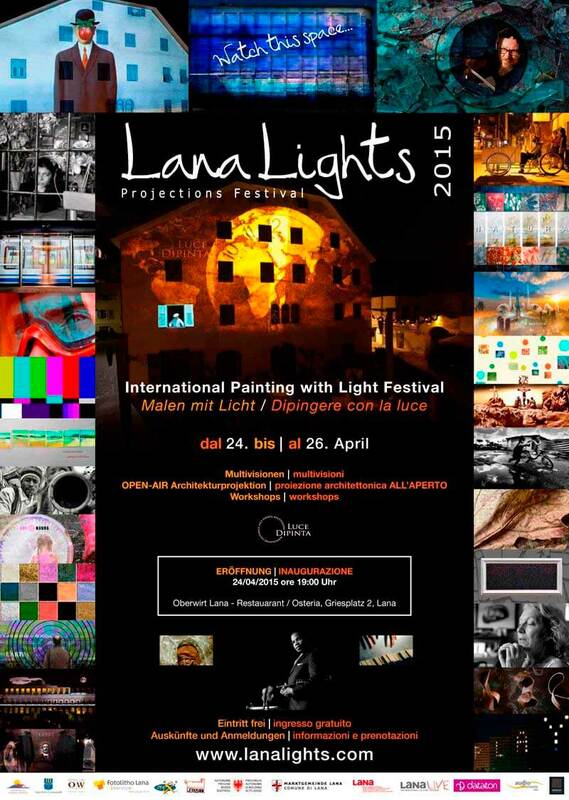 Showing at EXPO 2015 MILAN! 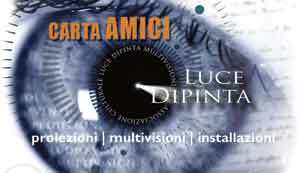 Widescreen multivision show FOR THE ALPS, realised by Alex Rowbotham is being screened at Milan Expo on 7th May in the French Pavillion! 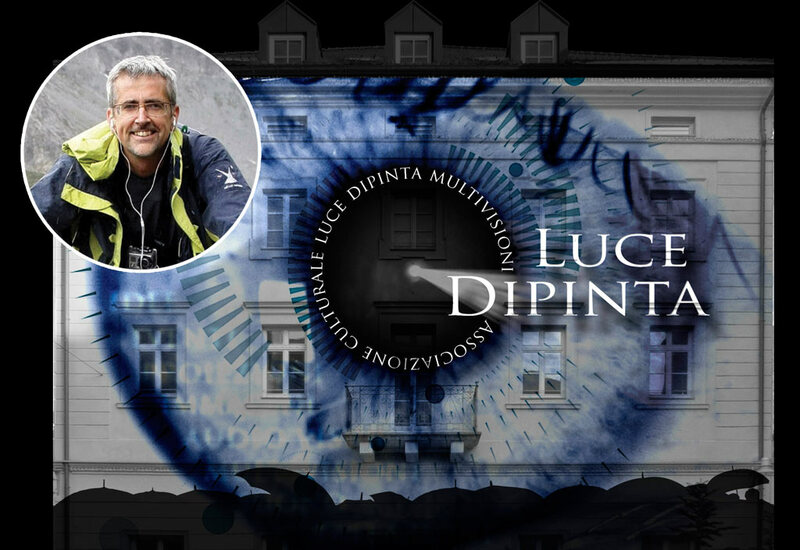 It is also being presented in the German Pavillion all day long in June during the 'Mountain Week' as 9th June is dedicated to the Alps. 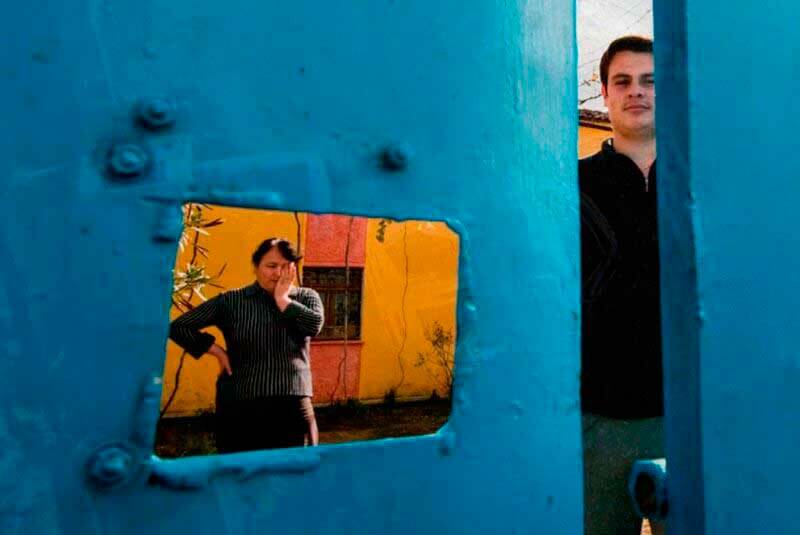 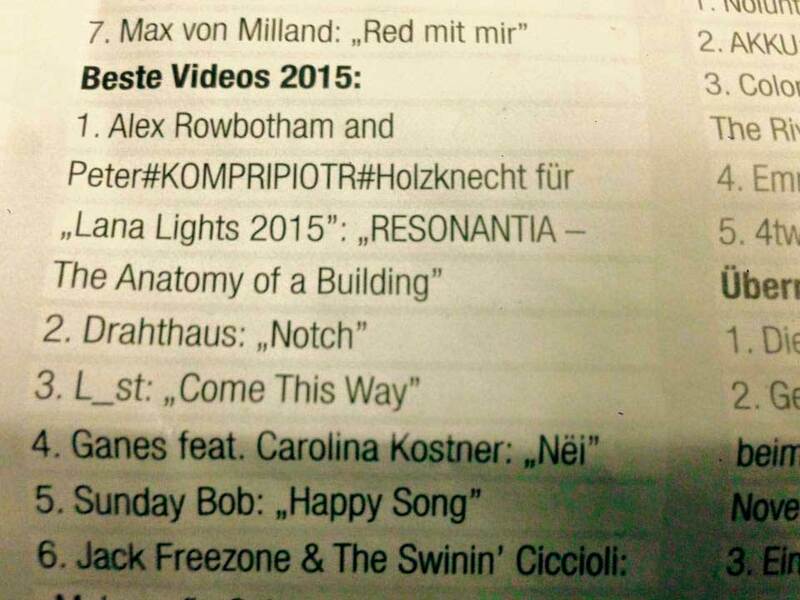 We are still awaiting confirmation for the Slovene Pavillion. 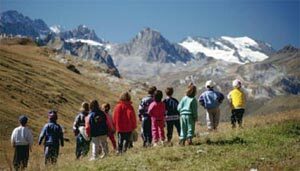 Produced by for ALPARC, the Alpine Network of Protected Areas, the show brings together hundreds of protected areas located in the Alps, from France, Germany, Austria, Switzerland, Lichtenstein, Italy and Slovenia. 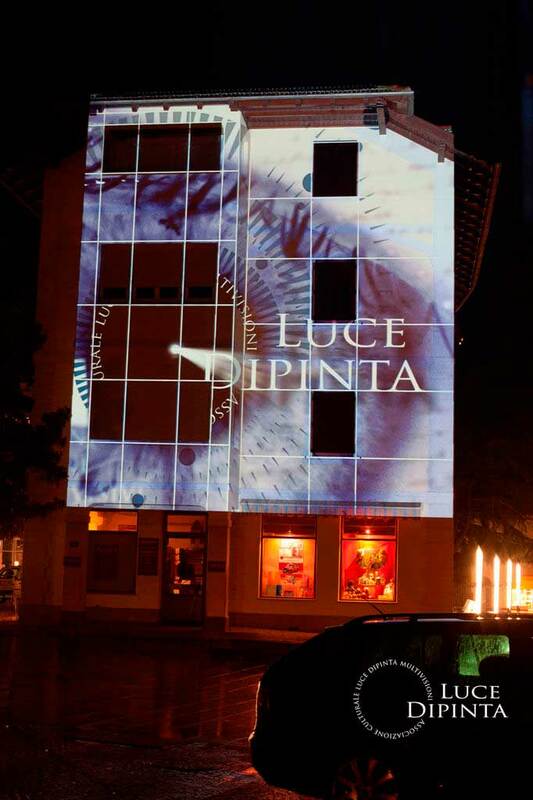 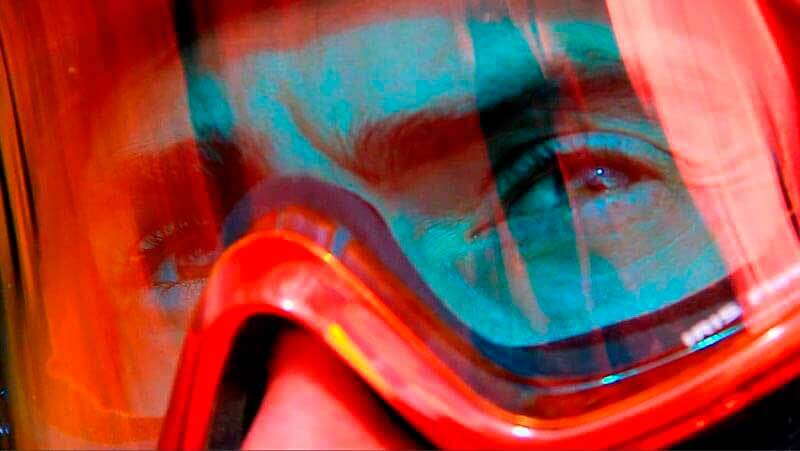 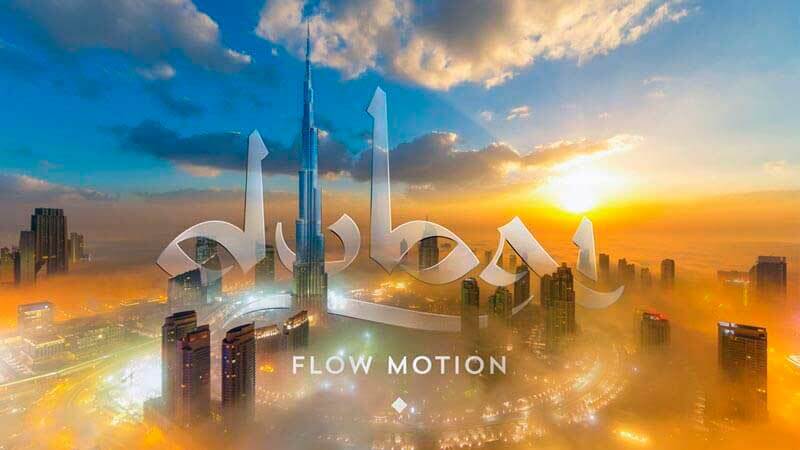 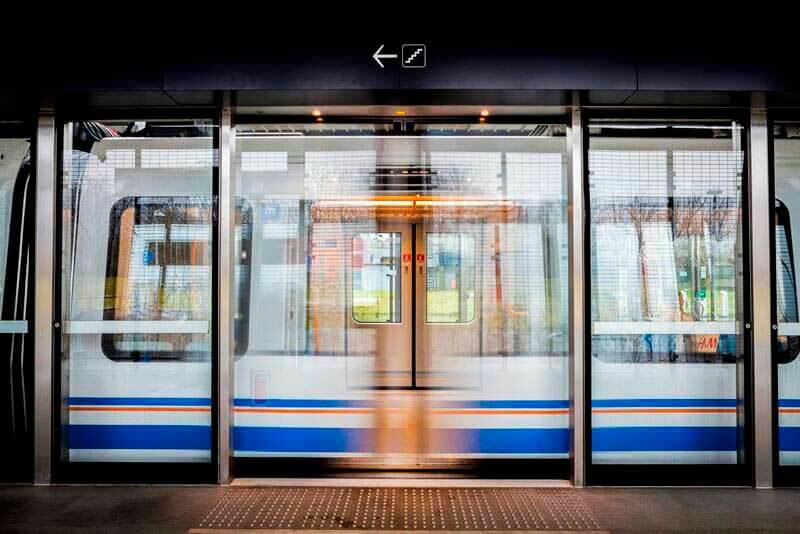 Following the official launch in September 2012, it has been screened in front of many audiences around Europe including at the Multiphot Festival in Chelles, France and regularly screened during events and fairs in the alpine regions of Germany.